Have you seen the new line of cleaning products by Hakwood Complete? At this moment the line consists of two products: Hakwood Complete Clean and Hakwood Complete Oil Care. The cleaning emulsion is specially formulated for routine cleaning and, depending on the usage of the floor, can be used weekly or even daily. 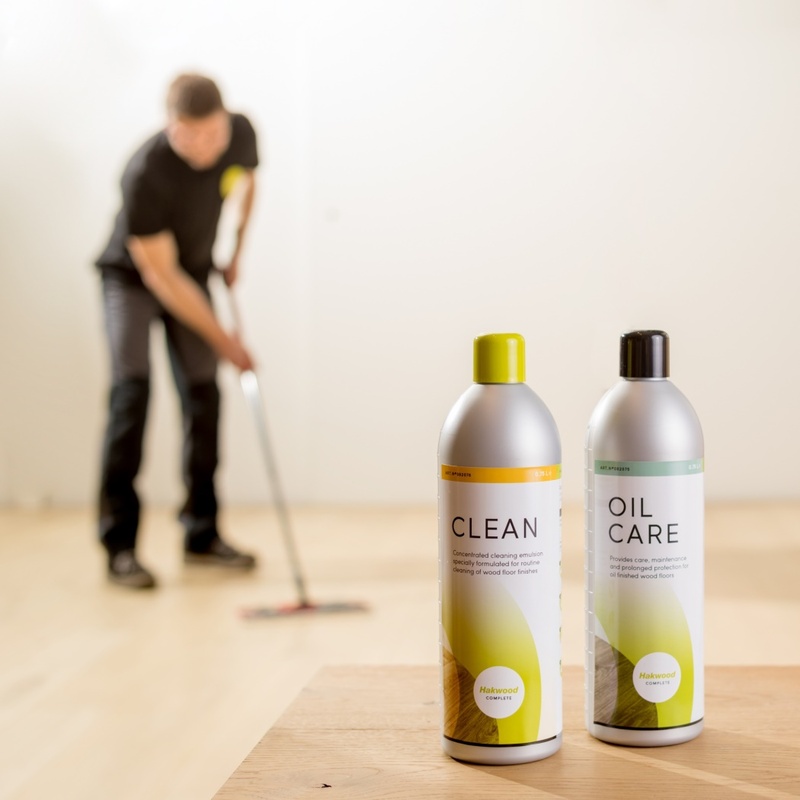 The Oil Care provides care, maintenance and prolonged protection for your Hakwood floor. The line of Hakwood Complete products will be extended in the near future. For more information about the products or other services by Hakwood Complete send an email to info@hakwoodcomplete.com.